Sight distance and approach grades were improved in this 2017 project. There were no added travel lanes or signalization. The realignment consisted of both horizontal and vertical corrections (an 'S' curve was eliminated on 136th street, and the elevation was raised on the west leg of intersection and cut down to existing elevation on the east leg of the intersection). 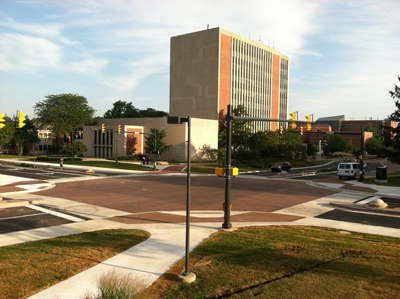 The intersection of McKinnley Ave. and Riverside Ave. on the Ball State University campus, known as "The Scramble Light", was a project completed in 2011 that gave a clean, polished look to an old campus icon. 3D Company, Inc. can be credited with all of the excavation, underground utilities and concrete sidewalks on the project. The Morrison Rd. 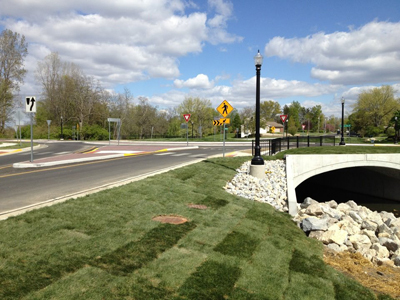 and Jackson St. roundabout, shown to the left, was completed in April 2012. 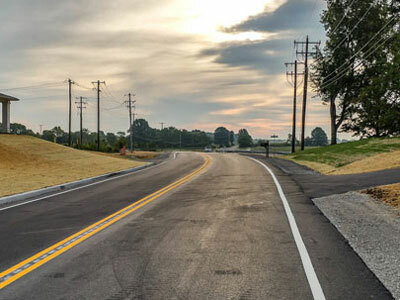 The project took 12 months to complete and was the second roundabout built in Delaware county. 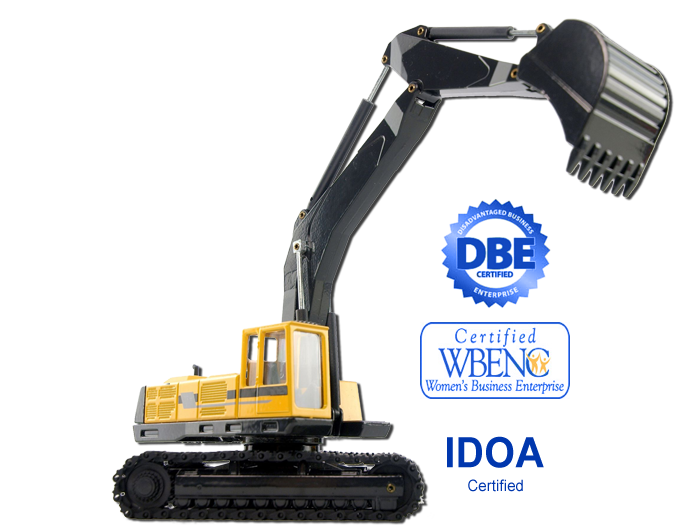 Our portion of the project included all excavation, underground utilities and box culvert work.